This beauty is the new Squale 30 ATMOS Classic Ceramica Ref. 1545CLC, the latest model introduced by Squale. 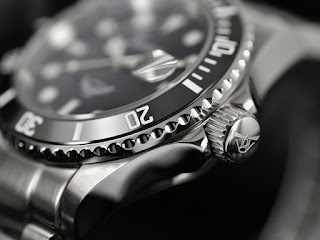 Made in Switzerland and powered by a Swiss Made ETA 2824-2 automatic movement with date function. 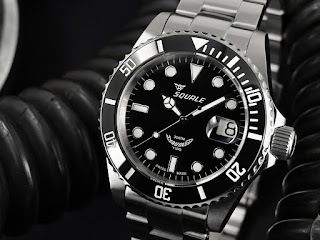 This is actually the first black dial model with ceramic bezel introduced by Squale in their 50 years of watchmaking history! 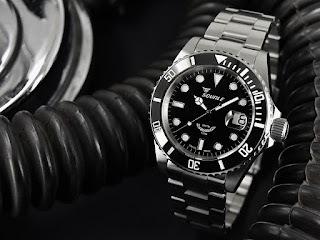 It is based on a vintage divers model produced by Squale in the 1960s – however with the added benefit of a scratch-resistant ceramic bezel which has been done respectfully so as to retain all the charm and appeal of the historic model. 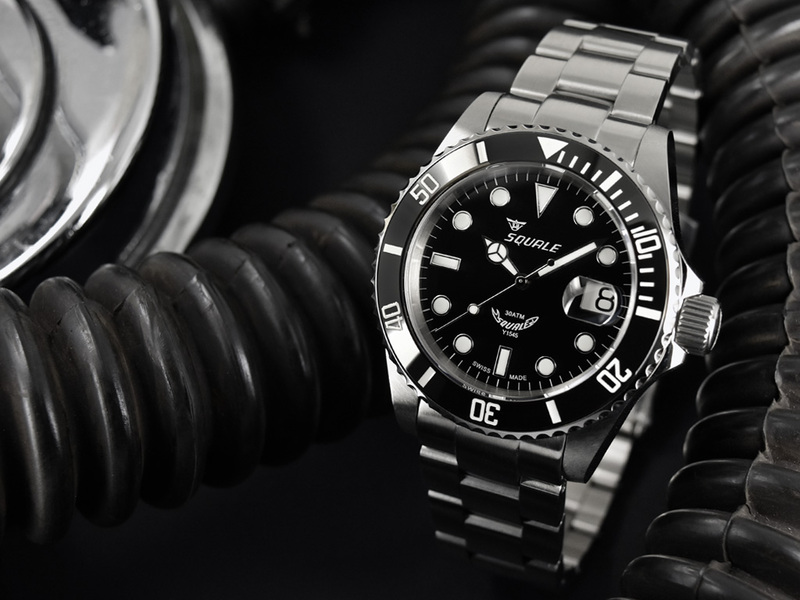 The black ceramic bezel along with the black dial provide a refined yet sporty style that can easily transition its wearer from diving chamber to dining table! The ceramic bezel is first cut into shape and then the numbers are carefully machine-engraved to a very high degree of precision. 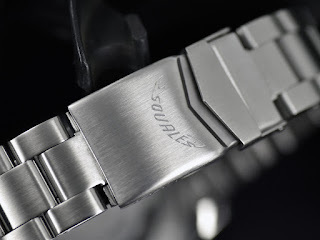 Next, the engraved ceramic bezel is super-heated to 1500 degrees in order to harden and burn –off any impurities. The engraved numerals on the ceramic inlay are carefully filled with white enamel paint. 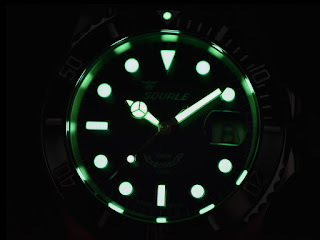 The excess paint on the surface of the bezel is thenpolished to a high gloss leaving only the numerals filled permanently. Continuing on the characteristics of the 1545 series, the 1545 series keeps getting better and better! 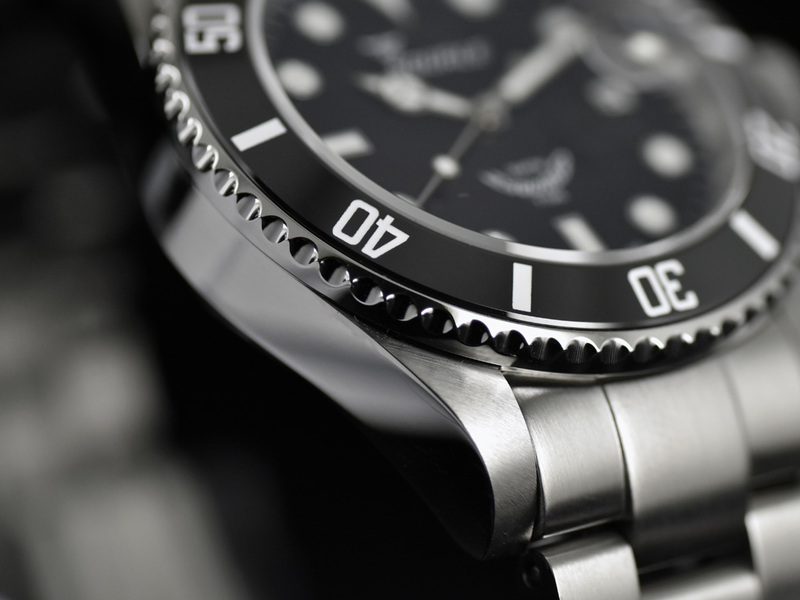 Measuring at 42mm by 13mm thick, the 30 ATMOS is like a pumped up version of the 20 ATMOS. It has a bigger case with a bolder design and higher degree of water-resistance while its short lug to lug length of just 49mm - and downwardly curved are designed to comfortably fit all wrists. The watch has been entirely designed and hand-finished in Switzerland with a satin brushed finish on top and highly polished sides - all to the high standards that Squale are synonymous for. 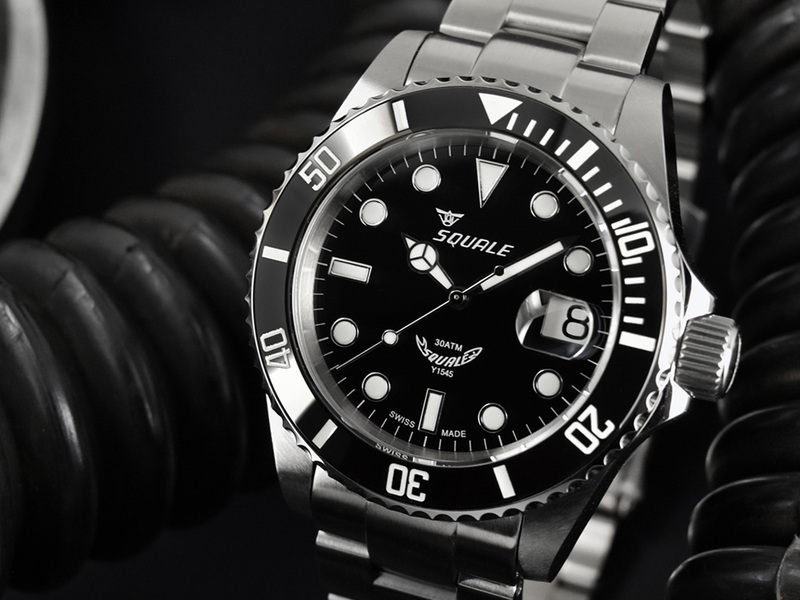 The Squale 30 ATMOS comes with a satin brushed Stainless steel bracelet with solid end-links and screw-in links as well as a divers extension. It is available exclusively from GNOMON.